Legend has it that Sarah Hellman Whitman was at the Providence Athenaeum in December of 1848 when she received a letter that the man to whom she was betrothed had failed her. That man was Edgar Allen Poe, and he was beside her when she read the letter, which explained that he had not kept his promise to stay sober. Whitman immediately called off the wedding. The tortured but brilliant author’s legendary connection with Rhode Island has spawned many a tale and now, thanks to School One and the Providence Athenaeum, high school students from across the state have a chance to learn the truth about Poe, and write some of their own pieces inspired by the man who penned “The Raven,” “The Cask of Amontillado”, and “The Pit and the Pendulum.”This is all thanks to School One’s Gothic Poetry and Flash Fiction Writing Class running from March 20 to April 10. 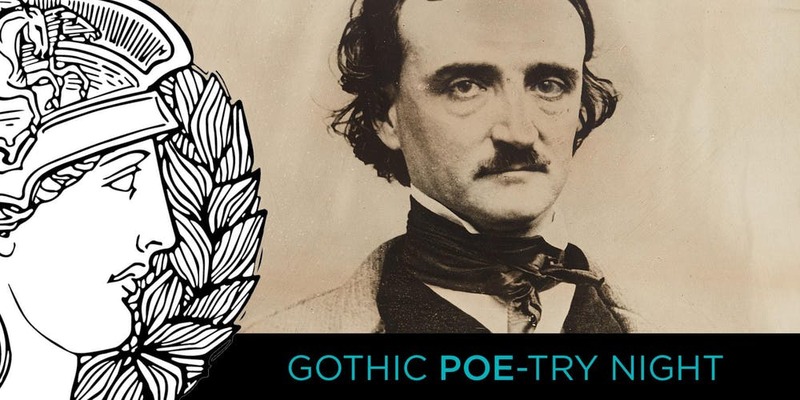 Diana Champa, the school’s outreach director, said that the students will have the chance to immerse themselves in Edgar Allen Poe through directed instruction and a visit to the Athenaeum’s Poe exhibit. Tactile, indeed! According to Kate Wodehouse, the Director of Collections and Library Services at the Providence Athenaeum, there are some one-of-a-kind artifacts on display for the students to experience. “The lock of Poe’s hair on loan from the John Hay Library at Brown and a tiny daguerreotype of Poe from the private collection of Susan Jaffe Tane are my favorite objects,” she says, adding that they also have records of the books that Poe checked out of the library which includes his signature. “It’s amazing to imagine Poe spending time in the place where I work,” she adds. The program will end with all students invited to attend a Youth Gothic POEtry and Arts Night on April 11 that includes a reading of “The Raven” by former Youth Poetry Ambassador Kiani Pope. This event is open to the public, and anyone who wishes to attend can register at the Providence Athenaeum’s website. Students interested in registering for the Creative Writing Workshop should email Diana Champa at DianaC@School-One.org.